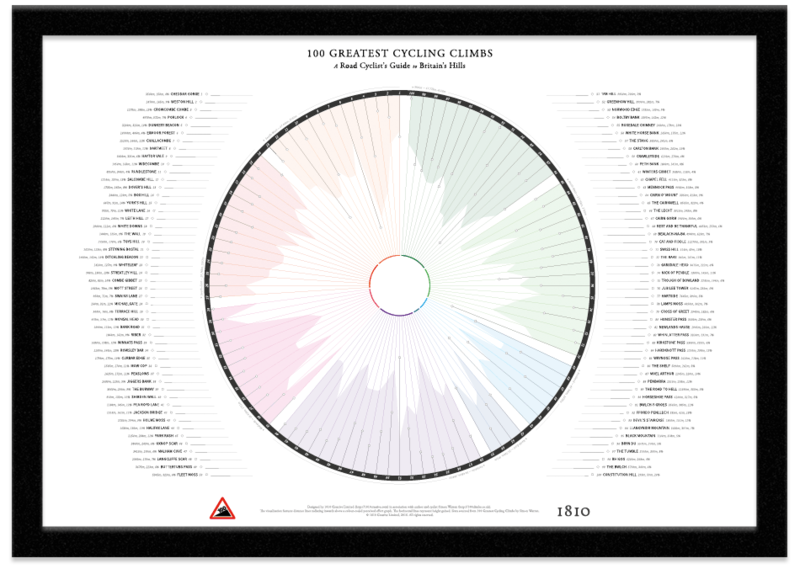 This stunning data-art is a collaboration with best-selling author Simon Warren and a companion piece to his first book – 100 Greatest Climbs, A Road Cyclist’s Guide to Britain’s Hills. Since 2010, tens of thousands of riders have picked up a copy of this little black book and following in Simon’s tyre-treads, pushed themselves (and sometimes their bikes) to the limit on some of the most challenging climbs in the UK. Fast or slow, their goal is the same – to “Ride them all”. We’ve been fans of Simon’s books for years – full of meticulously researched, accurate and detailed information. But from the outset, we were keen to create a distinctly separate design – one that would give a respectful nod to Simon’s book, but retain our own unique style. 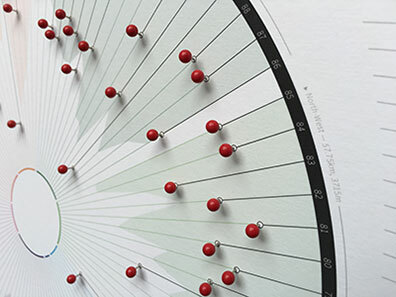 The process involved many iterations before we arrived at the final concept. Sketches were honed and redrafted many times before we were happy with the result. The stunning result is proof positive of our trademark meticulous care and attention to detail. 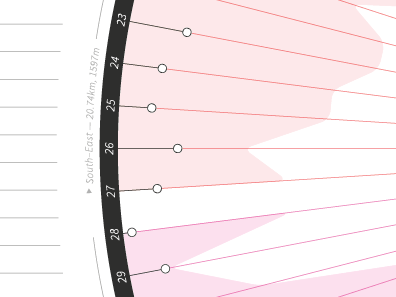 Each climb’s data is listed both horizontally and along radiating lines, redolent of spokes. 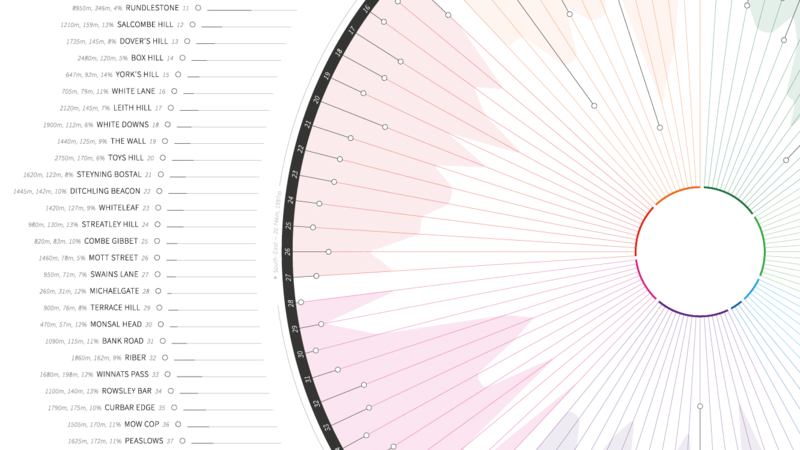 The horizontal lines chart the height gained and offer a place to make notes, while the radiating lines represent each climb’s distance. 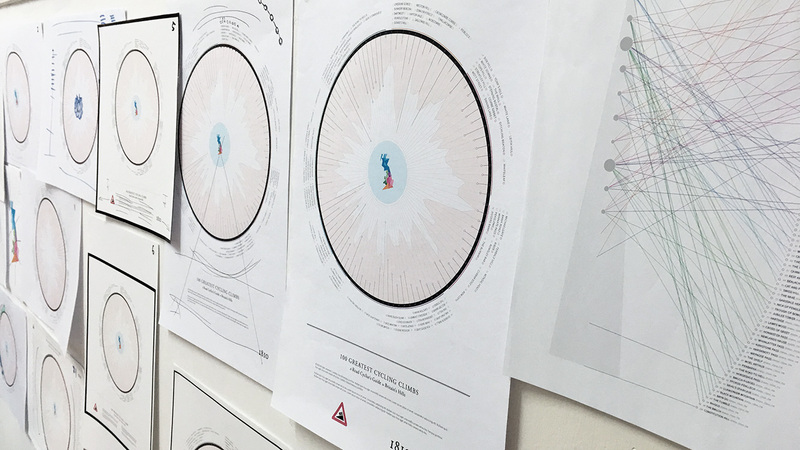 The graphs represent Simon’s difficulty rating and are colour-matched to the regional sections in the book. Mounted and framed Prestige editions – signed and hand-numbered by Simon, complete with pins – are available for sale in strictly limited quantities. The Premium limited edition is the same museum-quality print as the Prestige and is supplied rolled, ready for a frame of your choice.